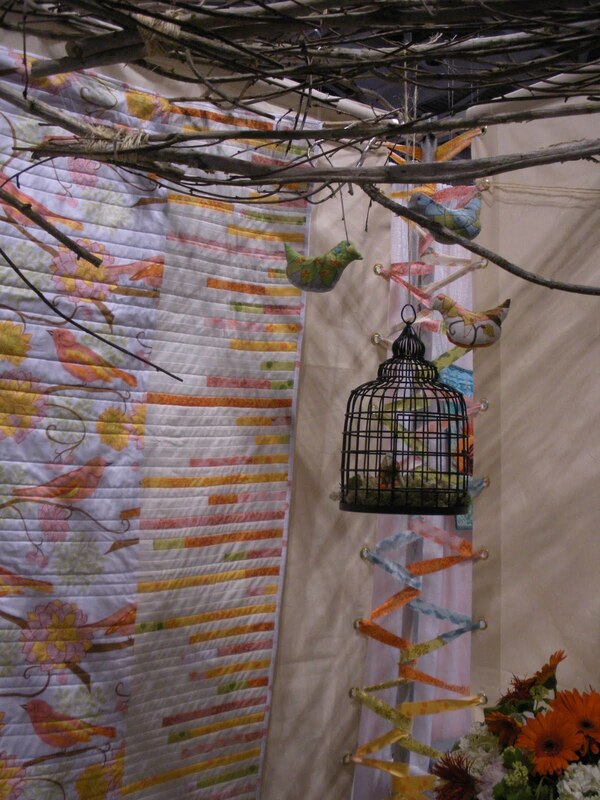 Gorgeous quilts incorporating Amy Butler’s “Love” collection… The log cabin there is stunning! 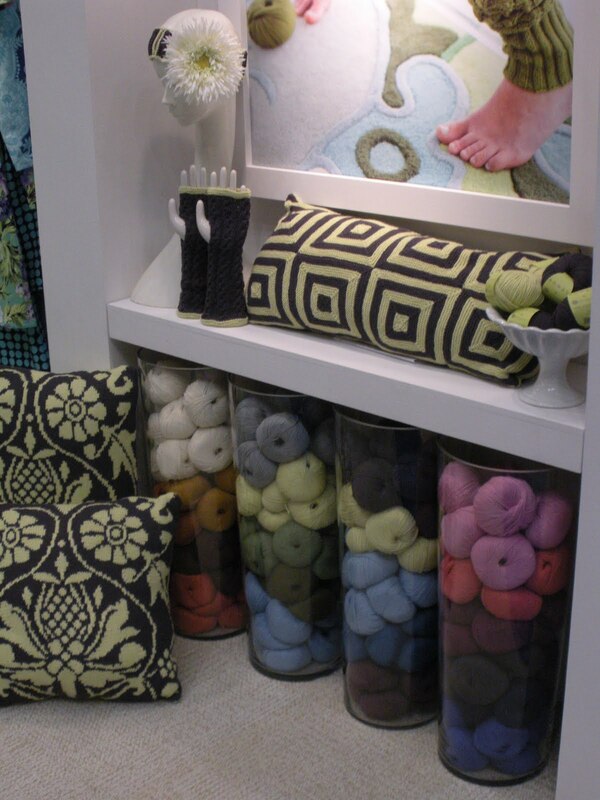 Here’s some Modern Meadow eye candy, and Valori Wells‘ “Nest”…. She has some sweet little $3.00 mini patterns, but all this bird stuff was thrilling me to tears! I love a sweet birdy design! 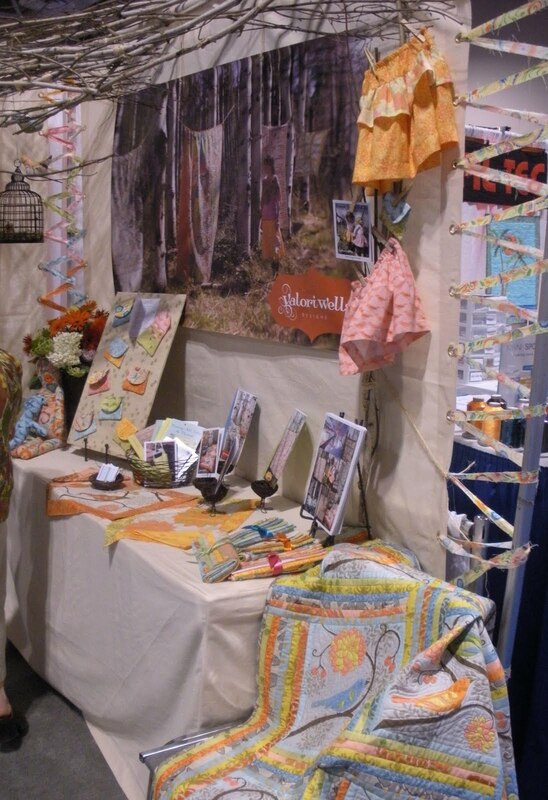 Felicity Miller‘s “Gypsy” line is one of my faves! 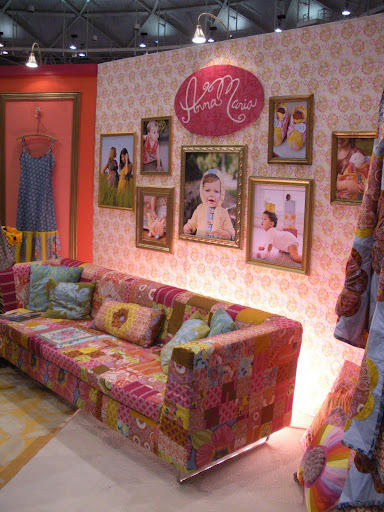 I had the pleasure of meeting Anna in her booth, and oohing and ahhing over the slip-covered sofa….her book, her lovely fabrics…. 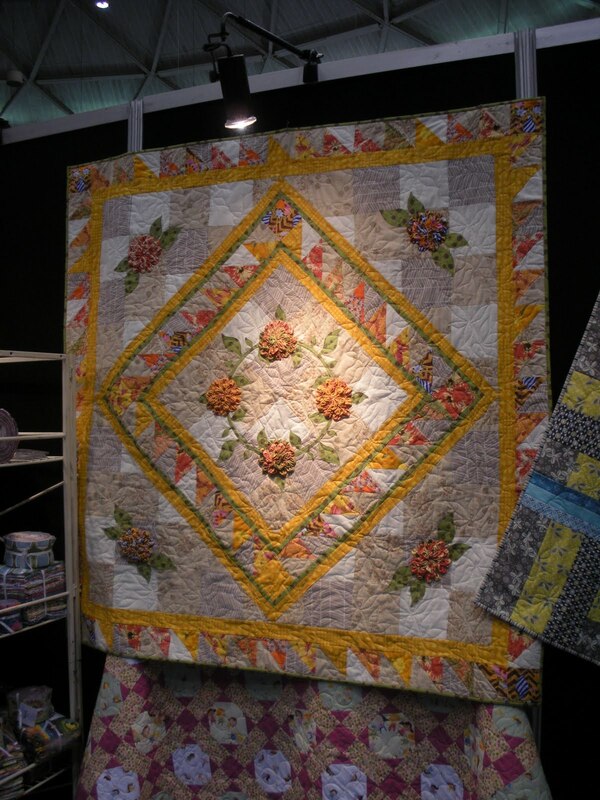 And this quilt that I FELL HEAD OVER HEELS WITH…. 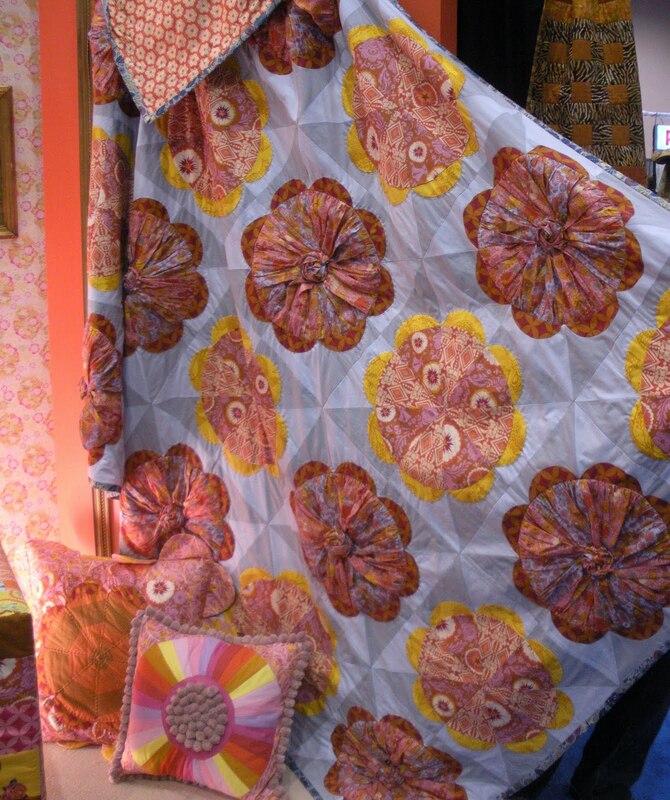 The pattern for the quilt and the pompom pillow will be out late Summer. 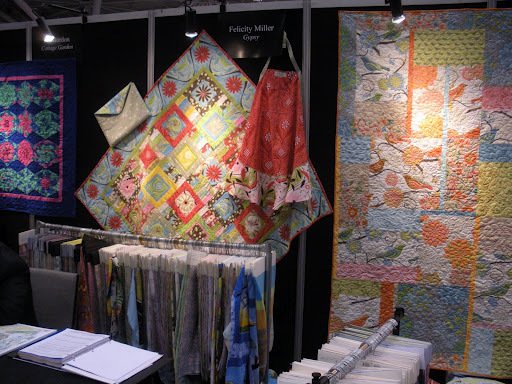 Walking past, or through, Amy Butler’s booth is sort of like a candy store for fabri-holics… Well, it’s like that for me anyway. Absolutely gorgeous…. 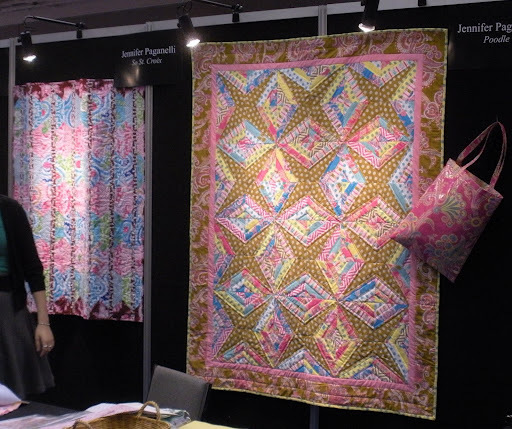 She has quilting fabric and patterns, clothing and accessory patterns, home dec fabric and patterns, yarn, paper, stationary, bedding, and now WALLPAPER! 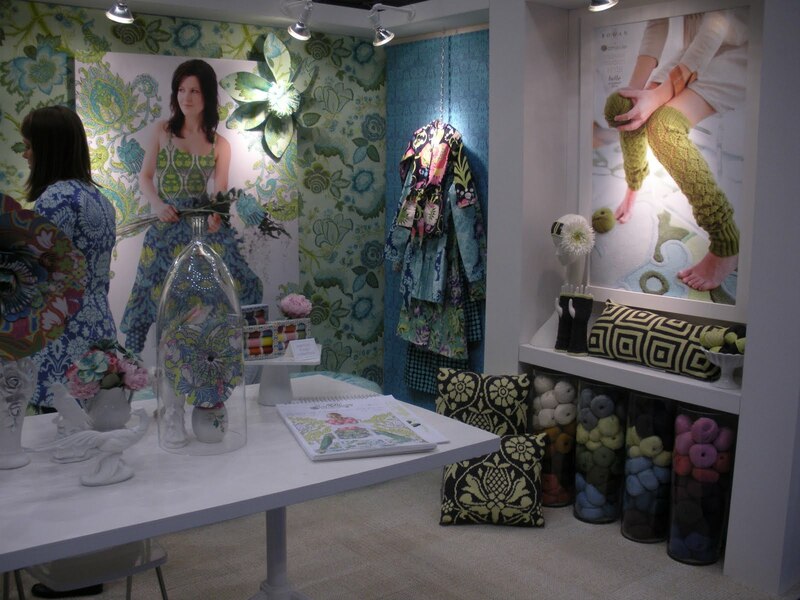 That’s right, that isn’t fabric covering her booth walls, it’s actually Amy Butler wallpaper! 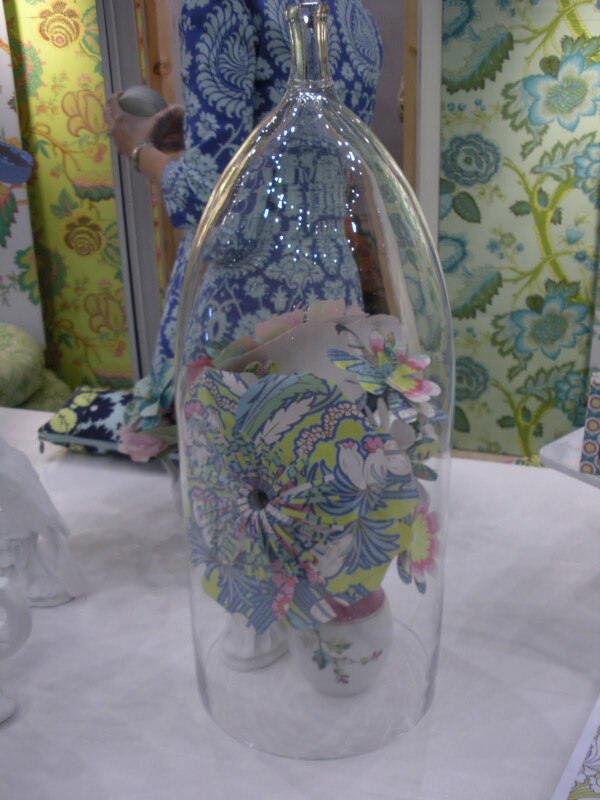 We saw sneak peeks of her new Soul Blossoms fabric…can’t wait to work with that! Now, I just need to channel all of this inspiration into production! Thank goodness I have a long weekend to get some sewing and creating done! Overwhelming! All that new stuff… it makes me worn out to look at it. No one can make it all, no matter how wonderful it is. Thanks for giving us a glimpse at all this new stuff. 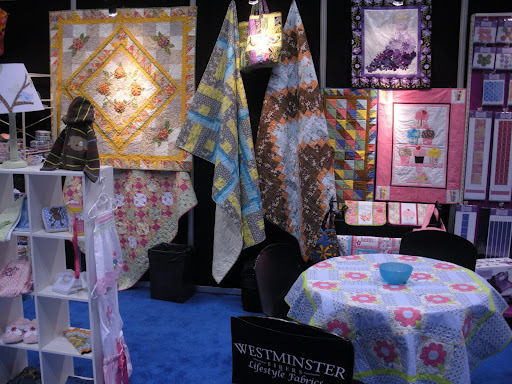 The quilting world changes all the time, doesn't it? I agree with Linda…it must be so overwhelming to go to Market! But fun, nonetheless! I'm jealous all over again! 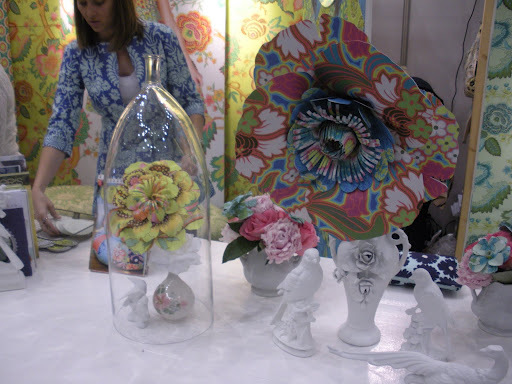 I love birdy things too, so was very taken with Valori Wells' stand. Have a great weekend. 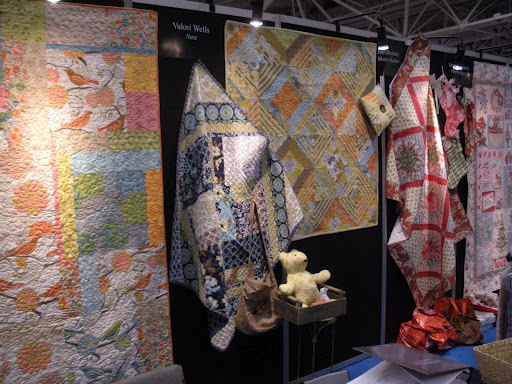 Thanks for blogging about your Quilt Market activities! 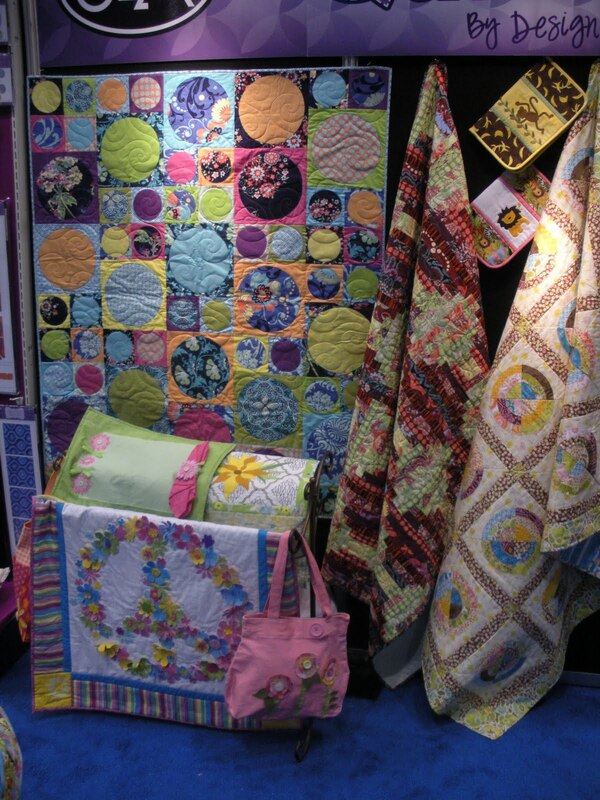 As a vendor at Quilt Market, I do not always get out and look at all the beautiful booths so thanks for sharing!! That's pretty cool you let your readers know what went on! !